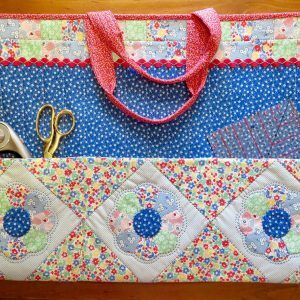 This beautiful sewing ensemble helps you organise your equipment in style. 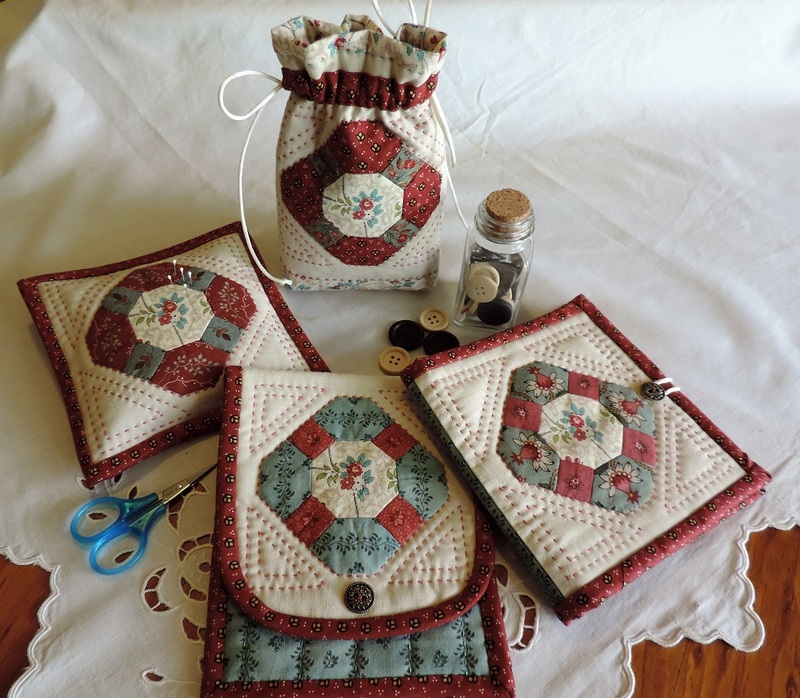 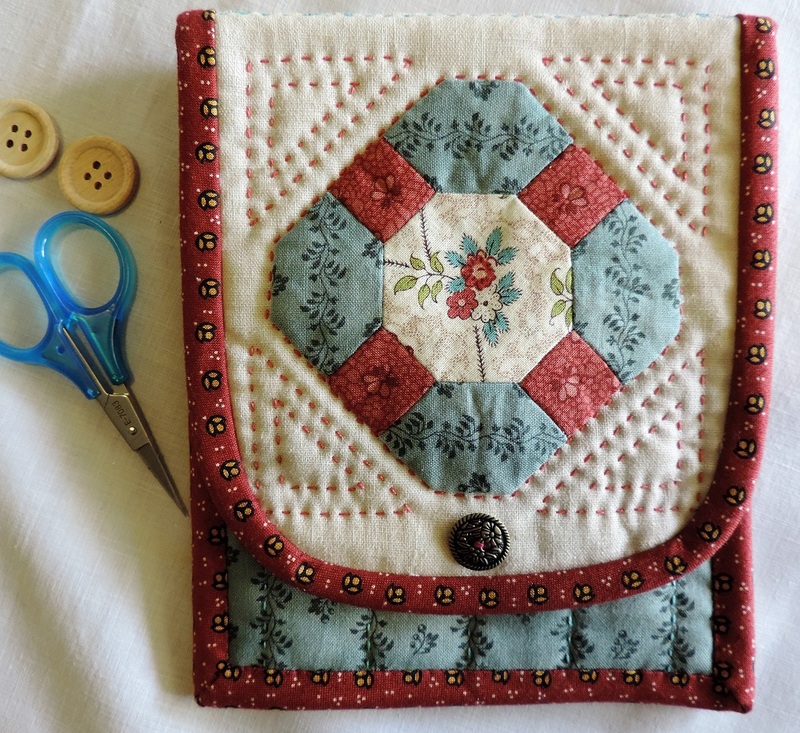 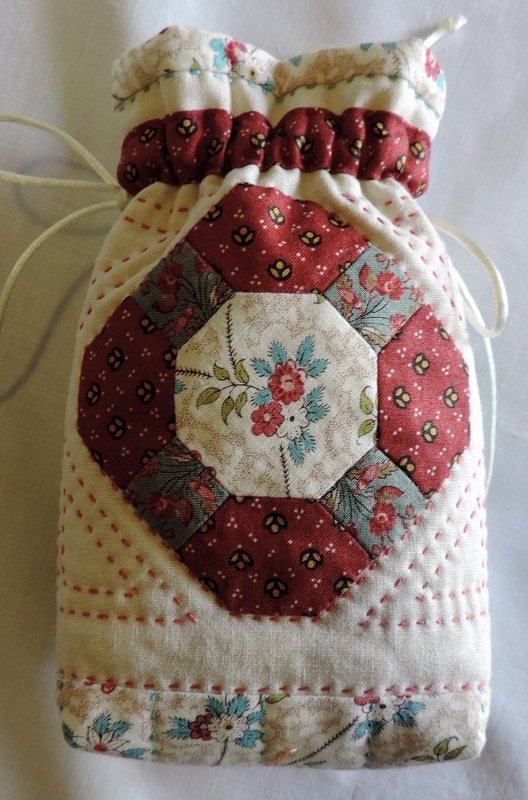 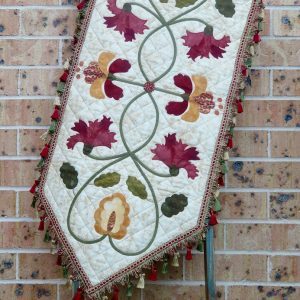 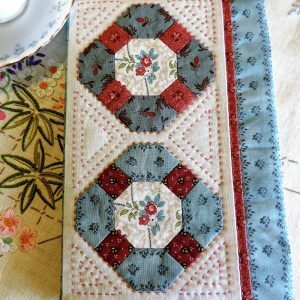 The four projects feature English paper pieced medallions and hand quilting. 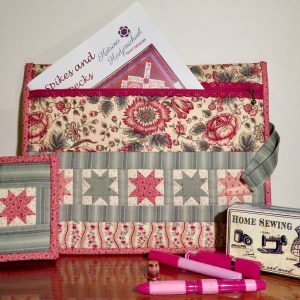 The pattern contains very detailed instructions to make each item. 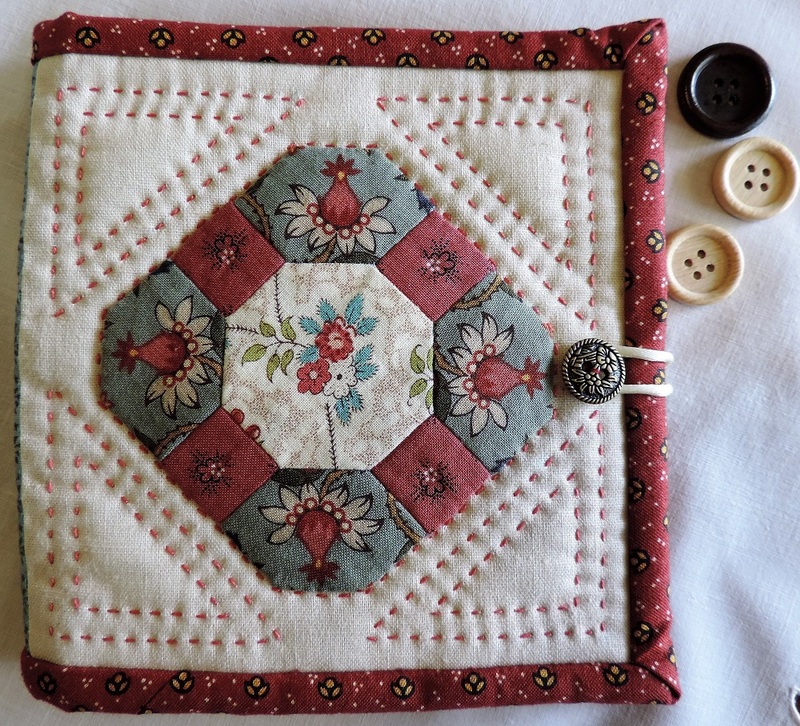 This pattern includes the paper templates for the four items.